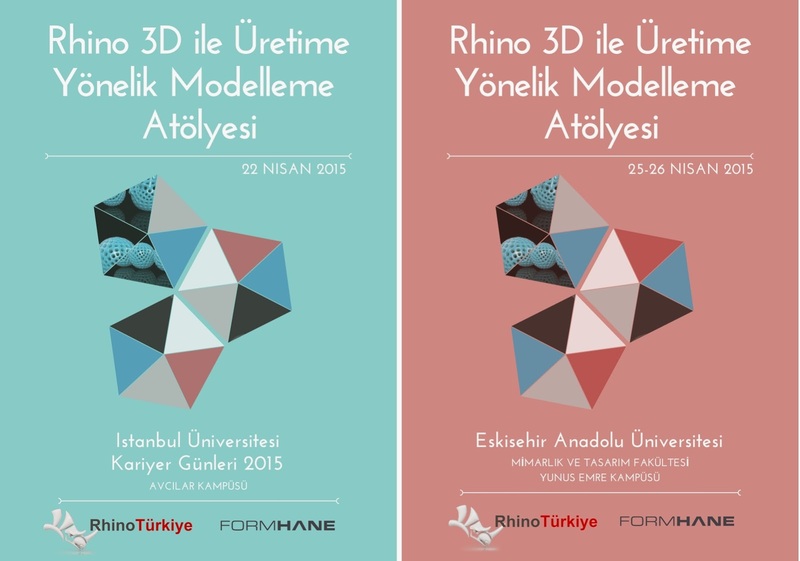 Workshop series wild be held by RhinoTürkiye in İstanbul University (April 22) and Anadolu University (April 25-26). These will cover modeling with Rhino, several plug-ins for different industries and repair tools for 3D Printing. A brief 3D Printing seminar will follow the Workshop which will be given by our partner Formhane.